These helmets are just like what the pros wear, which has made their exciting debut in 2002. 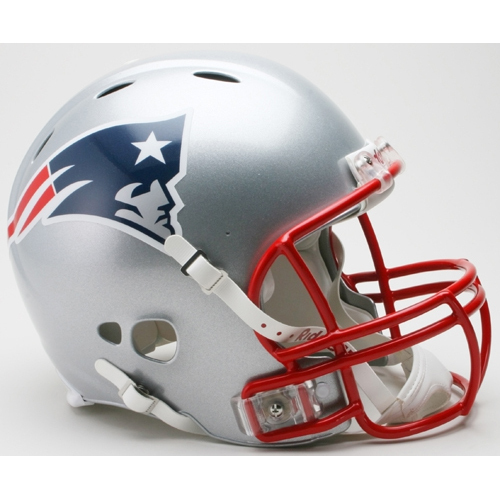 Features are: aerodynamic shell design with extended mandible protection area, new style metal facemask, authentic molded foam padding, hard cup chin strap, and stud & buckle chin strap snaps. The team logo (when applicable) is on the back bumper & a color coordinated Riddell front bumper.